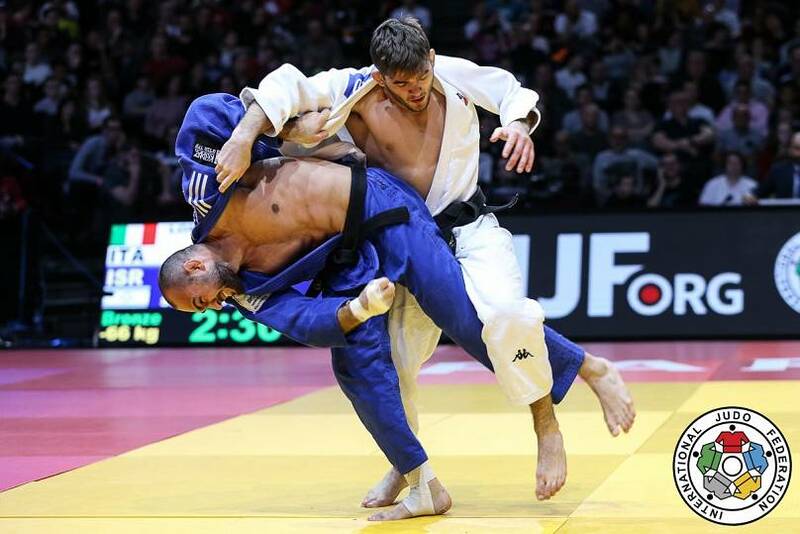 Japanese judoka dominated the first day of the 2019 Paris Grand Slam, topping the opening day's medals table with four golds, one silver and two bronzes. 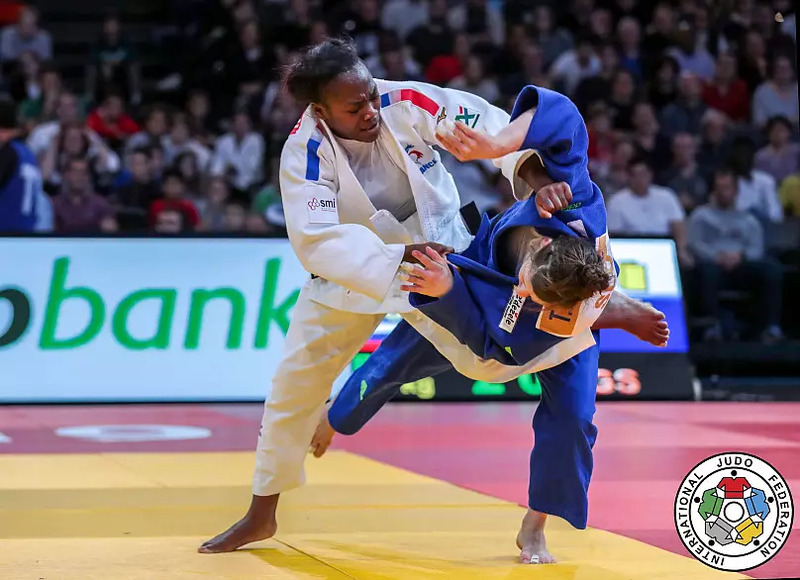 A fanatical home crowd had plenty to cheer about as French ace and national heroine Clarisse Agbegnenou thrilled them with a gold medal win for France after a titanic final clash that earned her our Woman of the Day title. Triple world champion Agbegnenou faced Tina Trstenjak of Slovenia, the Olympic champion, in a battle of the titans, which was decided when Agbegnenou threw for a waza ari in golden score. A fantastic moment for the world's top female judoka. Agbegnenou was presented her -63kg gold medal by the French Minister of Youth and Sports, Roxana Maracineanu. 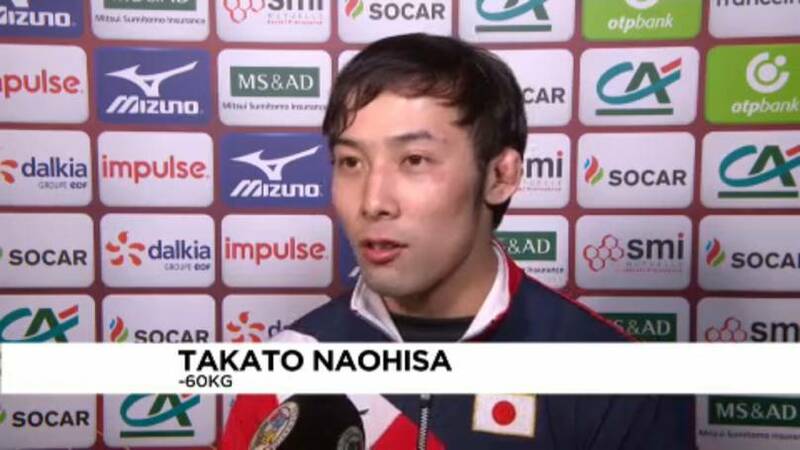 Our Man of the Day was another triple World Champion, as three-time and reigning World Champion Naohisa Takato of Japan overcame 2015 World Champion Yeldos Smetov, countering the Kazakh for a waza ari in their -60kg gold medal contest. Lord Sebastian Coe, President of the IAAF, awarded Takato with his gold. 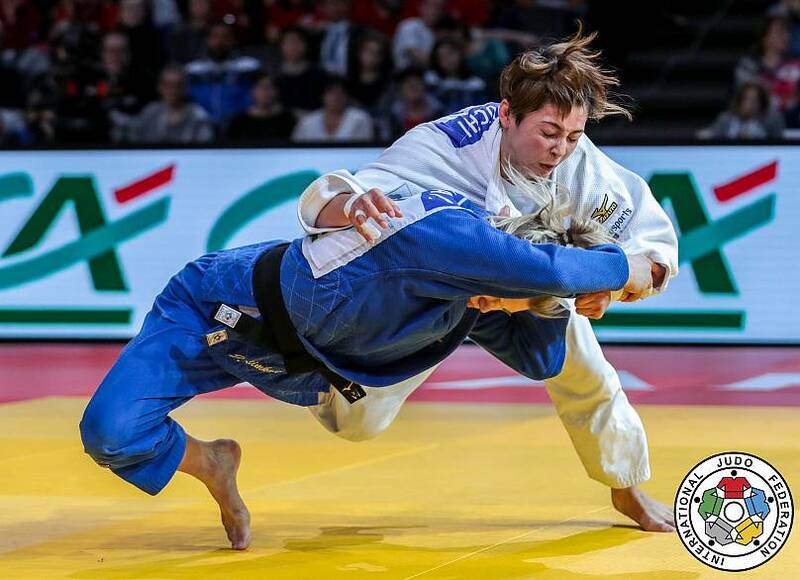 Elsewhere, a superb footsweep from Ami Kondo brought Japan another gold, as Kosovo's Distria Krasniqi was felled in the final of the under 48 kilogram division. On hand to award Kondo with her gold was another big VIP guest, Francesco Ricci Bitti, President of the Association of Summer Olympic International Federations. 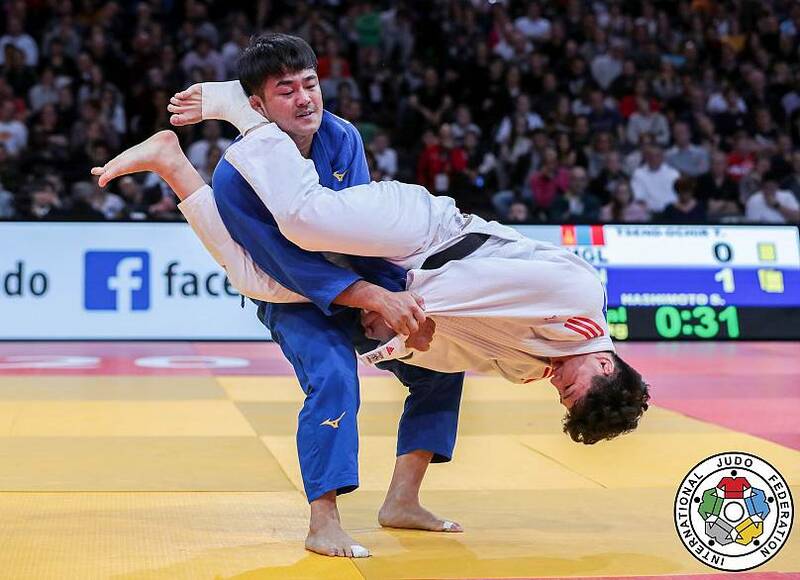 In the men's division, there was a return to form for Japan's Soichi Hashimoto at under 73 kilograms as he took gold, scoring ippon against Mongolia's Tsogtbaatar Tsend-Ochir in the final. 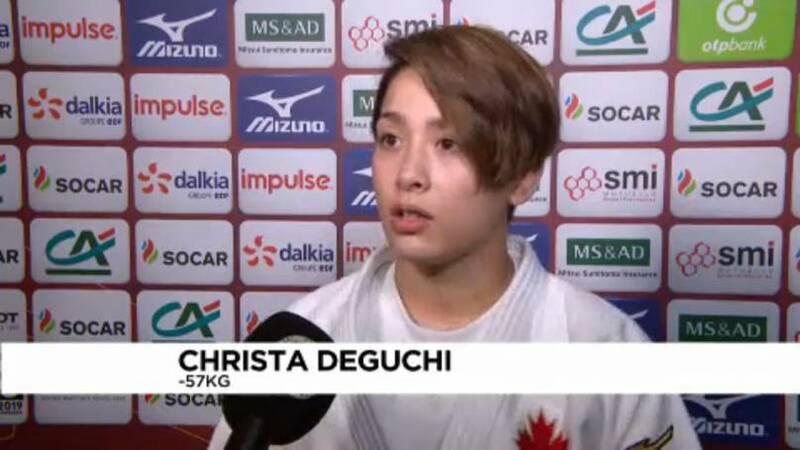 Canada's World bronze medallist Christa Deguchi and her teammate and World Judo Masters bronze medallist Jessica Klimkait clashed in a tense all Canadian contest to decide the under 57 kilogram title. 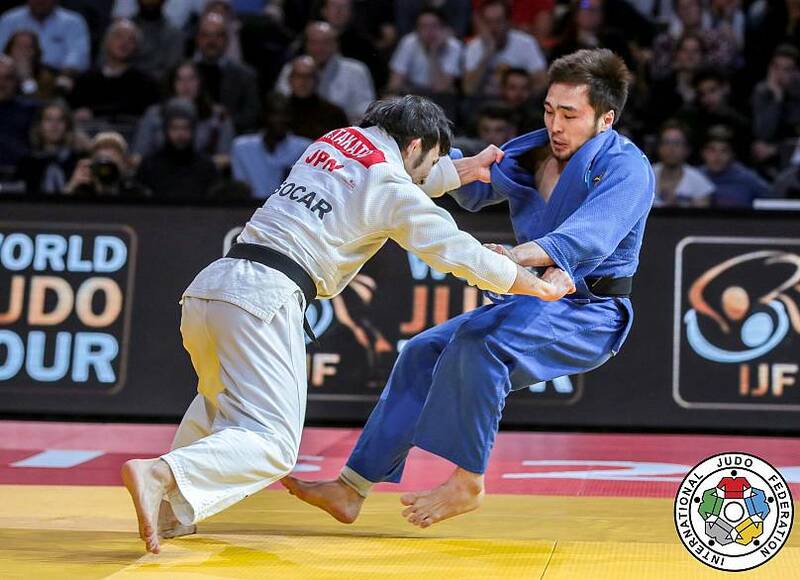 With Klimkait on good form, Deguchi needed a win and got one with a waza ari in the dying seconds of the contest. "In 2018 she won the Osaka Grand slam, so that made me very nervous. Before the final I saw I was against Jessica and that was a big match that I couldn't lose. There was so much pressure, but I'm glad I won. I'm happy," said Christa Deguchi in an interview. A superb ippon from Moldova's Denis Vieru against Georgia's Vazha Margvelashvili earned him his first World Judo tour gold on one of the biggest stages. Awarding Vieru with his under 66 kilogram gold medal was five-time Olympic gymnastics champion Nadia Comaneci. Our Move of the Day also came at under 66 kilograms, as Israel's Baruch Shmailov stunned junior world champion Manuel Lombardo of Italy with a huge ippon. The monster move helped give Shmailov a well deserved bronze medal to treasure.